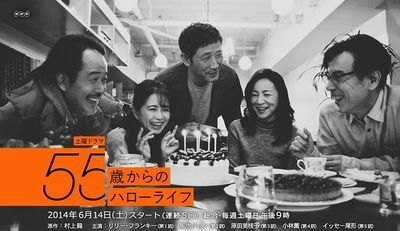 Based on the same-titled novel which is a compilation of 5 short stories, the people featured in this drama are ordinary people. Just ordinary people going through their ordinary lives. These 5 people have all retired from their jobs, and are now embracing their sunset years. However, no matter how similar their profiles may be, none of them experience the exact same thing. Except perhaps, the harsh reality of lost youth. Marrying at an old age, going back to work again, family breakdown, saying goodbye to an old buddy, the death of a pet... in each story, we see the main character struggle to deal with their insecurities, as they finally find their ways and embark on new beginnings. This page was last edited on 7 February 2018, at 00:50.